An Insider’s History of the Global Warming Scare. Climate Change Science as it is known today is a very young science. Many of those that first raised the alarm about our bringing upon ourselves catastrophic global warming, like Schneider and Hansen, are still with us today. 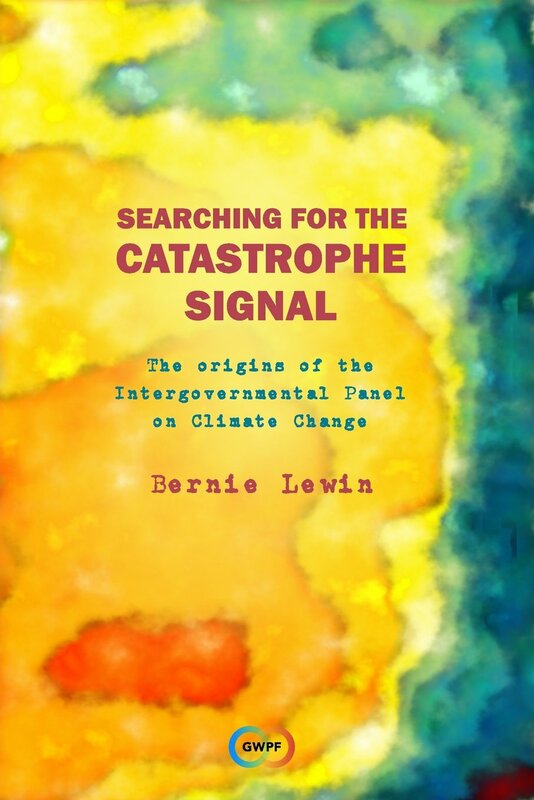 In the late 1960s and 70s concern was mounting about the possible local and then global affect of pollution on climate, including cooling and warming. But it was not until the 1980s that the alarm over carbon dioxide driven warming really began. Of the most recent past, can one really write a history? The closer an account of events moves towards the present the more recedes the special virtues we seek in history, and so it is hard to pick out which recent developments really matter in the long run. With such caveats Spencer Weart begins the final chapter of his The Discovery of Global Warming (2003), but they might just as well apply to the entire subject, and this is all the more so from the sceptic’s point of view; for the question of want has been discovered, if anything at all, may well be revealed to all in good time. But in different ways for the advocate and the sceptic, the subject is too important to leave alone. For Weart, it is by tracing how scientists, politicians, journalists, and ordinary citizens pushed and pulled at one another in the past, we can be better prepared to deal with the fatal issues that confront us. Whereas for the sceptics, the value in examining the history of the global warming scare is to discover just how it was that this came to be seen as a fatal issue – threatening no less the survival of humanity – so as to understand the phenomenon of alarmism as it manifests in modern society (see eg Scared to Death by Booker & North). At this blog, our particular interest is in how this scare was manifest and propagated by scientists, and through the great institutions and organs of sciences, upon a grotesque distortion of conventional scientific practice. And one thing that is well demonstrated, acknowledged and even promoted in Weart’s history is that the development of the science (and so its corruption) is almost inextricable from – in fact it thrived upon – the very scare it generated across the politique. The Discovery of Global Warming story begins by taking us back beyond the doomsayers of our time, to the early 19th century, when the French scientist Joseph Fourier discovered that it is greenhouse warming – the trapping of heat by the reflection of infra-red radiation – that explains the retention of the sun’s heat in the atmosphere. Next it was a contemporary of Darwin and Lyell, John Tyndall, who measured the reflective qualities of specific gasses, only to find that the main atmospheric gasses, oxygen and nitrogen, were transparent to this radiation, and so performed no such reflective warming. Tyndall soon discovered methane and CO2 to be greenhouse gasses, but as there were only traces of these in the atmosphere it could not be these that are keeping us warm. Soon he had the answer, that it is in fact water vapour that is the predominant greenhouse warmer of our planet. So, by the late 19th century, with the greenhouse life-nurturing effect of our moisture-laden air well establish, the next question was of climate stability and the cause of its known variation. Right up until the late 1960s, if you were discussing the question of ‘Climate Change’ you would most likely be considering one of the great questions of geology, namely, What caused the Ice Ages? In fact, Weart identifies a 1965 conference in Boulder Colorado on ‘The Causes of Climate Change’ as a turning point. At a conference convened to discuss paleo-climate variation across millions of years, the discussion noticeably shifted towards contemporary change and the human influence. Weart shows us just how much the contemporary discussion of prospective climate change emerged out of discussion of climate change across deep geological time, and in various ways he shows how the one discussion explains characteristics of the other that are otherwise perplexing. One of these is the eagerness to confirm processes of positive feedback. This grew out of the need to explain the large shifts in climatic condition that caused the advance and the retreat of massive ice sheets, when it was found that the candidates for their causation could have only affected much slighter perturbations. In the 1870s James Croll proposed that variations in the earths orbit (as noted in the procession of the equinox) could trigger Ice Ages. As he saw it, these changes in themselves were not sufficient to cause the dramatic changes in temperature, and so he proposed amplification by positive feedback due to the greater albedo (reflection) of snow and ice cover and due to changes in the ocean currents. Similarly, in 1896, Svante Arrhenius accounted for inter-glacial warmth by volcanic CO2 causing a little warming….and this causes more humidity,…which causes more warming…and so. Thus, an Ice Age could be triggered by a period of low volcanic activity. Now consider the problem of accounting for recent climate variation during, say, the last decade, century or millennium. And consider a scientific problematic where we propose solar changes, volcanic influences and other atmospheric changes to cause direct but minor shifts in the global climate, while also noting relatively minor fluctuations (say, + or – 2 degrees) in temperature record of these recent times. In this case we would tend to be looking for feedback that maintained the over-all stability of our climate and dampening these perturbations. However, if we saw it otherwise, with dramatic climatic shifts in these recent times, then we would have a problem similar to the problem of the geological Ice Ages in that we would be looking for positive feedbacks. The point is that alarmists and sceptics sometimes seem to occupy these two different problematics. While in the sceptic camp the former view tends to prevail, the idea of inherent instability in the system pervades alarmist Climate Change Science. It is not so much that they observe great climatic shifts in the climate record, but that they propose the system in a precarious balance easily tipped over into a cascade of dramatic change in the future. Climatic instability is a theme of Weart’s whole narrative, and we will return to this theme below, but the specific influence of the Ice Age problematic is also evident in his history where it becomes easy to forget (and Weart often pauses to remind the reader) that an influential earlier theory is attempting to explain the slow advance and retreat of gigantic ice sheets, and not the relatively brief and small variations in the global climate of historical times. Croll and Arrhenius’s feedback theories of Ice Ages had very different lives and influences. Croll’s orbital theory lingered until a variation was eventually confirmed by the matching of Milankovitch cycles with sediment and ice core data in the 1960s and 70s. Arrhenius’s CO2 theory was subject to harsh criticism over the next few decades. Some said that Arrhenius had not accounted for the flux of the carbon cycle and the potential for the oceans to absorb the excess CO2. Nor had he considered the negative feedback in the albedo of the greater cloud cover that one would expect in a more humid air. But, as Weart describes, the most damaging criticism came only a few years after the theory was proposed, when it was discovered that CO2 absorbed infrared in much the same band regions as water, thus with the air already opaque to those bands, changes in CO2 concentration could not even affect the small difference Arrhenius had proposed. It was not until the late 1930s that these conclusions upon simple laboratory experiments were re-examined and found to over-simplify the actual atmospheric effect (see Weart’s discussion of further developments). And so the CO2-forcing argument was revived, but this time not as affected by volcanic emissions, and not to explain the Ice Ages. The interest this time was to consider the impact of the CO2 emissions of human industry, and to explain the creeping rise evident across temperature records which had begun in the 1880s and was continuing through the 1930s. The proponent of this harbinger of what is now simply called ‘Climate Change’ was not a geophysicist or a meteorologist but a steam engineer who practiced climatology as something of a hobby. Guy Stewart Callendar saw this warming effect of anthropogenic CO2 as desirable, and especially in that it might offset the slow inevitable decline into the next Ice Age. His critics argued that he had not demonstrated the signature of the human impact, and that the more likely explanation is that the recent warming is but an up-cycle of the natural fluctuations in climate evident throughout history. And sure enough, in the 1950s the warming was found to have reversed. After some harsh winters of the early 1960s concern about the cooling world overwhelmed any interest in a warming theory. Alas, after two false starts, the theory of CO2-forced climate change would have to wait for the warming to begin again in the 1980s. Meanwhile, popular concern that the world was cooling during the 1970s, was not, as some have supposed, a beat-up by the media. Rather, it was sourced, as Weart explains, from just such speculation among the scientists. Weart covers well the quiet and less memorable period of the early 1980s, including congressional hearings in 1981 orchestrated by Al Gore and others, with Schneider and Ravelle giving testimony. In the same year an important AGW paper was published by the newly appointed head of NASA’s Goddard institute, a young James Hansen. While Hansen’s paper made nothing of the splash of his more famous paper and sweaty congressional testimony of 1988, he did win the beach-head of the first global warming front-page report in the New York Times, and this was even follow by an editorial discussing the implications. The political breakthroughs of 1988, including the establishment of the IPCC, coincided with the 2nd consecutive ‘warmest year on record,’ but then the heat was off again, and there ensued another lull for climate alarmism through the early 1990s. This was not helped by the release in 1990 of the remarkably sober IPCC’s First Assessment, which found no conclusive evidence that greenhouse gas emissions were causing the recent warming; warming that anyway had not yet returned us to the balmy heights of the early middle ages. This depiction of un-scientific trashiness of early scepticism is challenged by a range of documentation from this time. These includes the profoundly scientific grounds for scepticism given by the founding director of CRU, Hurbert Lamb, a case which he developing upon the available evidence from the 1970s through to the 1990s. As for the public debate, there is the well structured scientific case made in the 1990 Channel 4 (UK) documentary The Greenhouse Conspiracy. And Weart himself reports further evidence that alarmism has not yet taken hold among the ranks of climate science when he points to surveys of the scientist at this time detecting little restive concern. Indeed, the main narrative of the triumph of Climate Change Science runs somewhat in contradiction to these slurs on early scepticism, for this was still a time when legitimate doubts remained, for we had not yet arrived at the ‘confirmation’ of the science upon which the scientific ‘consensus’ would be built. The talk of ‘confirmation’ and ‘consensus’ only really began with the triumphant release news of the IPCC 2nd Assessment late in 1995. It’s Official the Science journal headline declared, the first glimmer of greenhouse warming seen. The Science article did at least refer to the ‘war of words’ at the final meeting of (IPCC Working Group I) lead authors and political representatives in Madrid. And it did point to the remaining ‘uncertainties’ behind the headline-grabbing conclusion that the balance of evidence suggests that there is a discernible human influence on global climate. Weart provides no such qualifications. In quoting these same words he reports: It was page-one news everywhere, immediately recognised as a landmark. And then he glosses the ensuing scandal with an oblique reference to a nasty controversy casting doubt upon the personal integrity of some IPCC scientists. In fact, the controversy was over just how these and other conclusive statements were inserted into the report after the scientific review was complete. The long-sought breakthrough — that the ‘fingerprint’ of the human influence on the warming had finally been discovered — was claimed upon the authority of the yet-to-be-published research of the very lead author who was accused of drafting these modifications during the Madrid meeting. One must wonder, if these late changes were not made, and the 2nd Assessment was released just as inconclusive as the 1st Assessment, would its fate have been much the same? And then what of the fate of the Climate Change movement at this critical time on the eve of Kyoto? We can only imagine, for the changes were made, and the discovery of global warming was broadly accepted, and the momentum achieved in the winter of 1995-6 was maintained through the political breakthrough of Kyoto, and towards the even more conclusive 3rd Assessment of 2001. With the release of this 3rd IPCC report, the story of The Discovery of Global Warming comes to its close, but not without giving due emphasis to the startling new evidence of unprecedented recent warming. It had been discovered that 1998 had been not just the warmest year of the century, but of the millennium. And the final chapter, entitled ‘Discovery Confirmed,’ bares witness to just how important was this (now discredited) evidence by the fact that the 3rd and final image of this entire book is none other than Michael Mann’s iconic Hockey Stick graph. That Weart is writing from within the AGW camp has some obvious disadvantages, but he is not entirely one-sided, and, even where he is, there are interesting revelation. For example, while there is not much discussion of the measurement of global temperature and how it has change and progressed over time, Weart does show how the advocates of AGW progressively dealt with the problem of the apparent fluctuations in 20th century warming, notably the warming up to the 1930s, the cooling of the 1970s and cooling of the early 1990s. Hansen’s 1981 paper removes the ‘common misconception’ that the 1970s cooling is a global phenomenon by showing that (as per with the Medieval Warm Period) it was mostly restricted to the Northern Hemisphere (and so attributable to hemisphere bound industrial aerosol pollution). More obscure is Weart’s claim that by the 1990s most scientists now thought it likely that the warming trend from the 1880s to the 1940s, when greenhouse emissions were not yet great, had been caused at least in part by increased solar activity. Indeed, while some were still talking of AGW since the industrial revolution, there was now a retreat to have AGW kicking in only after the 70s – which, we might note, keeps that hobbyist, Callendar, out in the cold. When the 1990s cooling was attributed to the Mt Pinatubo eruption, all that was left to explain was the warming trend across the 80s and 90s, which, by a process of elimination, must be due to greenhouse gas emissions. In recognising the long hard labour to get to this position by the end of the millennium, one can begin to appreciate the frustration of long-time campaigners, when, as the new millennium progressed the warming appeared to stall yet again. As Keith Trenberth famously put it: The fact is that we can’t account for the lack of warming at the moment, and it is a travesty that we can’t. Weart is also frank about the funding cycle, and especially how drumming up public alarm causes the politicians to listen and to open their purse to fund more research. War, the Cold War, the Arms Races and the Space Race all drove funding by public fear. He shows how the scientists in the anti-war movement also used the authority of science to drive up fear. In a carefully orchestrated political manoeuvre staged on the eve of Halloween 1983, Carl Sagan, and others, announced the theory of Nuclear Winter, an instant cooling far deeper than an Ice Age that would likely extinguish the entire human species. That the science was tenuous, with all the appearance of pseudo-scientific propaganda, this does not much concern Weart. Moreover, there is a recurring theme in the book that any science that affects public alarm is a good thing, irrespective of its validity and irrespective of the damage a beat-up might do to the integrity of scientific institutions and practices. Only a few [climatologists] like Brooks, Ewing, and Donn imagined that the entire climate system might be so delicately balanced that a relatively minor perturbation could trigger a big shift. The temporary northern cooling from the 1940s through to the 1960s had been bad luck for climate science. By feeding scepticism about the greenhouse effect, and by provoking some scientists and many journalists to speculate publicly about the coming of a new ice age, the cool spell gave the field a reputation for fecklessness that it would not soon live down. Was the mathematics trying to tell us something truly important? It was a disturbing discovery that a simple calculation (whatever problems it might have in detail) could produce a catastrophic outcome. The general public was never offered convincing and humanized tales of travails that might realistically beset us: the squalid ruin of the world’s mountain meadows and coral reefs, the mounting impoverishment due to crop failures, the invasion of tropical diseases, the press of millions of refugees from drowned coastal regions. Of course, the call for more vivid depictions of scary scenarios was soon answered Al Gore and others. An over-riding theme of The Discovery of Global Warming is that the progress of the science has been the progressive revelation that the climate system is not so stable as we all first thought, but it is instead teetering on the edge of a most delicate balance, and that the improving record of the past reveals more and more that it is yet an erratic beast prone to sudden and wild fluctuations that could, if pushed, be upon us once again. For example, Weart says that when the ice and sediment proxies data became available it showed that the notion of radical climate instability was not absurd after all. Did it really? Evidence across timescales from decades to millennia to geological ages all show patterns of slowly developing cycles of cooling and warming within minor temperature ranges – that is slow relative to the human scale and minor relative to the time-scale. On a human timescale changes like sea level rise, or the descent into an Ice Age remain very slow. What we can say, and this is where some of the confusion lies, is that minor changes, if they were accelerated and unidirectional, then they would cause some significant disruption to modern civilisation. But even these should be compared to the disruption of familiar random/cyclic fluctuations of weather/climate that cause droughts, floods, famines and other devastating natural disasters. By suggesting that the progress of the science is from an old view of climate stability to the new science of climate instability, Weart suggests that those who’s argument falls to the side of stability are retrogressive, even anti-science traditionalists. During those bad luck cool 1960s Weart applauds most of those experts who began to doubt AGW theory for at least not reverting to the traditional comfortable view that climate was regulated in a stable natural balance. Does this suggest that he regards the drumming of Ice Age alarm better than no alarm at all? Surely an advocate of science should support those who try to stay true to the evidence and not support the science according to whether it promotes alarm over comfort. These objections conformed to a view of the natural world that was so widespread that most people thought of it as plain common sense. In this view the way cloudiness rose or fell to stabilize temperature, or the way the oceans maintained a fixed level of gases in the atmosphere, were examples of a universal principle: the Balance of Nature. Hardly anyone imagined that human actions, so puny among the vast natural powers, could upset the balance that governed the planet as a whole. This view of Nature – suprahuman, benevolent, and inherently stable – lay deep in most human cultures. We might object and say that the apocalypse of the doomsayer is also a recurrent theme throughout our cultural history, and we should be careful not to let these latter-day doomsayers re-write the history of Climate Science so easily. Weart himself shows that modern climatology emerged out of the plethora of ideas circulating during the time of Arrhenius to account for geological climate change. As for historical climate change, we soon find Brooks from the 1920s, and Lamb from the 1950s, mapping out the patterns of climate change that gave us the idea of the Roman Warming, the Medieval Warming the Little Ice Age, and many more ups and downs in rainfall and temperature. They were not proclaiming runaway change or wild fluctuations, but nor did they proclaiming a perfectly stable balance – for that is not what they found. It is one thing for Weart to support the current dogma that places us on the edge of a climatic tipping points, but his gloss of the commonly held views that preceded the triumph of this dogma appears as something of an extension of the aggressive efforts during the 1990s to erase the Medieval Warming from the millennium record. And there is no suggestion in Brooks nor Lamb that these fluctuations were not disruptive – rather, the disruption they caused constituted much of the first evidence of their existence – although they do both associate the warm-wet periods with prosperity. As for the human influence on climate, well surely it is best to let this case emerge upon the evidence, instead of promoting it as the modern view, or as worthy for the alarm it generates. There is no doubt that The Discovery of Global Warming is a partisan history, but that is not to say that such histories have no value. Weart tells the story mostly as the partisan and advocate wants it to be told, even as the events are unfolding and well before the drama is complete. In this respect it reminds me of Sprat’s History of the Royal Society written to promote the Society while still in the throes of its tenuous institution in the even more tenuous Restoration. That History endorsed experimental science as a sobering remedy to the apocalyptic ‘enthusiasm’ that had of late torn the fabric of British society to shreds. Now, after three and a half centuries of state-sponsored science, we find The Discovery of Global Warming endorsing apocalyptic enthusiasm to exploit the hard-won respectability that science has earned for its every effort to resist the tendency to depart from a sober exploration of the available evidence. Note: Weart has updated the story with a second edition which I have not read. Find additional and supporting documentation on his AIP website, including an extensive and useful bibliography. I hope to post shortly a review of Fleming’s Historical Perspectives on Climate Change. This entry was posted in History of Climate Science and tagged Climate Change Scepticism, History of Science, Spencer Weart. Bookmark the permalink. An interesting and well thought out review with a number of good points, although of course entirely partisan. One thing that disappoints me is that you pay little attention to the powerful forces that have deliberately encouraged the view that global warming is “not a problem.” I tried to balance discussion of that with some discussion of the motivation of the scientists, but their interest in getting attention and funds was a minor factor compared with the hundreds of billions of dollars and anti-regulatory ideology at stake. I also take exception to your claim that major past climate changes were slow on a human timescale. More recent research (noted in the second edition) does make us more confident that well-observed huge decade-scale shifts were a feature of glacial epochs and are unlikely within the next half-century at least… it depends of course whether your time-scale extends to your grandchildren. Anyway I think we can agree that climate change can be really, really hard on a civilization over a century or so. And I suppose we can agree that there is some risk of severe global warming; I put the risk at 90% and you put it at… not zero, I trust…? Note however that this is not posted to get into a discussion with you: you won’t change my views and I won’t change yours. I just wanted to post a few comments and now I’ll go away. Keep thinking hard! Thank you for visiting the blog and offering your views. Your point about the huge well-funded forces against climate alarmism helps to explain the motivation of scientist-activists in distorting the science and the scientific process — motivations beyond their own funding interests. I take your point about the huge decade-scale climatic shifts in the record of the glacial epoch, which are, yet, unlikely in the short-term future. Your comments here help qualify your depiction of the climate system as an erratic beast susceptible to wild fluctuations and currently in a delicate balance. I wonder, could we say the same of the lithosphere? And, yes, we do agree that even minor changes in climate can have dramatic effects on civilisation — as per pre-AGW work on historical climate change by Brooks, Lamb etc. But, again, outside the recent runaway-warming-alarmism, warm periods are generally not associated with times that are really, really hard. Rather, they seem to coincided with times of civil advancement and prosperity. Although I said I don’t want to get into a long conversation, I appreciate your thoughtfulness and I want to acknowledge that the lines you quote from the first edition turned out to be exaggerated. They were drawn from the work of Wally Broecker, and Broecker himself admitted the idea had gotten overblown (the movie The Day After Tomorrow really steamed him). Broecker is not an alarmist, he is just one of those guys who gets worked up about things, especially his own work of course, which has made him a good scientist. I explained in the second edition and on my website that thanks to new research–not everything that is published in Science and Nature is on the pessimistic side–we are now less worried about huge decade-scale changes. Which is not to say that they cannot happen, since there remain known mechanisms that could produce them and there’s always unknows as well. But the probability now seems much smaller. I agree that a warmer world would be okay, up to about 2 degrees warmer, although with the strain of six billion people and counting it would be a hard adjustment. In particular, since the human race is already using a quarter of the planet’s total biological productivity, the additional strain on other species will wipe out a lot of them… which would be a pity, but at least they’re not the ones we rely on. Also, the warming and precipitation changes now are very fast compared with known changes over the past few thousand years, which is a problem not only for nonhuman species but also in terms of what farmers in less-developed countries can easily adapt to… especially given that they are already stretched by environmental degradation and overpopulation. But I agree that we can get through that, and our great-grandchildren (but not our children) might thank us for giving them a 2-degree-warmer world. The problem is that there’s a good chance, probably a lot better than even odds, that business-as-usual will give us a world four, six, or even more degrees warmer. That goes beyond anything the planet has seen since the Paleocene-Eocene mass extinction event, and would be undoubtedly not nice. See Watts (no, not that Watts, D.J. Watts), “Six Degrees.” To be sure, impact studies… unlike, I believe, geophysics studies… are susceptible to pessimistic bias, but if you take just half of the studies seriously, it’s serious. Sure, maybe it’s all a mistake. There are only four bullets in the six-shooter revolver, go ahead and pull the trigger. Now I really do think I have no more to say, but thanks anyway. Fascinating discussion and I appreciate the detailed history of AGW presented here in the form of a book review. That the added CO2 from human activities can amplify atmospheric heating is a reasonable conjecture – the question is how much heating is being caused by said added CO2; and what is the likely result of the heating caused by the added CO2? And what is the nature of the feedback from this artificial heating? Is it positive (Hansen, Mann)? Negative (Spencer, Eschenbach)? If there is heating from man-made CO2 it has proven vanishingly difficult to empirically quantify – either lost in the noise of imperfect measurements, or even possibly nulled-out from some as yet unquantifiable negative feedback. It has been warm in the past and far colder as well; we do not need by logical necessity man-made CO2 to explain climate variation per se. Our temperature measurement systems to date are not up to the task of confirming any man-made fingerprint of warming to my satisfaction. Is AGW happening? Perhaps. But based on our incomplete measurements and measurement uncertainty I withhold judgment. More, much more attention needs to be paid to global temperature measurement. Argos, the oceanic buoy temperature measuring system is a good example of good work being done as concerns added instrumentation as are recent satellite launches of temperature monitoring/measuring instruments. Into the discussion must enter the concept of measurement uncertainty. Not just what we know but how well we know it and to what degree of uncertainty. Before that is introduced, talk of six-shooters and four bullet Russian Roulette are simply rhetorical devices. What substantiates four out of six? Why not five? Or one? A popular website takes artificial bets on short range predictions on Arctic sea-ice extent. How fun it is to play with language. One interesting topic of measurement uncertainty I have noticed from blog reading and elsewhere is the predicted number of generations until humanity experiences horrific misery from man-made global warming. It started with Hansen’s predictions of grandchildren. Now I am reading great-grandchildren. So is the prediction two generations out plus one minus nothing? What new findings moved it out a generation? And what are we to assume a generation consists of – I have heard somewhere it is around 30 years. So that would yield a misery index from AGW ramping to intolerable in 60 years plus 30 minus nothing … but I’m personally about ready to start having grandchildren so that would mean 30 years plus 30 minus nothing – right? By this measure in 2040 to 2070 it will be somehow horrific from man-made CO2. Is this what is meant? I admit I’m being a bit cute, but these generational doomsday predictions are widely circulated in the media and need to be questioned. What on earth are they based on? If there really is a good case to be made for catastrophic warming from man-made CO2 why trot out the grandkids and the six-shooters? Make the case and demonstrate it empirically. Where, when, and what comes the catastrophe? Given how little we know, how poorly we measure, how can we be making specific doomsday predictions with any degree of intellectual honesty? Indeed there are terrible things caused by Mankind, many of them environmental. But CO2 per se? I fail to be moved with so many other sins we perpetrate on ourselves, on each other, and on the planet. More, much more attention needs to be paid to global temperature measurement. I was nodding until you shifted from ‘heat’ to ‘temperature.’ True, we get our estimates of heat from temperature, but it might be healthly to avoid slipping back to temperature, and so help shift the discussion from atmospheric temperature to heat – especially to ocean heat, as per the argo bouys. Richard Lindzen is very persuasive against the emphasis on the global temperature, the history of which I will be discussing here. Yes, we need to understand more about the dynamics of the climate systems, but what are we measuring in the global temperature anomoly? We all know moist air has more heat. And, anyway, this is only the heat trapped above the true heat banks, the oceans. If surface temp were up 2+ degrees since the 80s, then that would be something, but, so far, as Lindzen shows, the variation is so small compared to the fluctuations and the uncertainty. This use and abuse of ‘uncertainty’ in the history of AGW alarmism is historically central. It’s almost like the corruption of the scientific discussion that is this alarmism could be reduced to the abuse of the discussion of uncertainty, and of uncertainty in the discussion of risk. There was an interesting eddy current in the cascade of momentum that followed Hansen’s 1988 testimony to Congress — where his claim of 99% certainty was splashed across the press. It seems that others were both excited (by the publicity) and yet concern about were to go with this. The 1989 Schell article in Discover magazine (with the famous scary scenarios quote of Schenider’s discussed here) seems to provide something of the zeitgeist (too bad it is Revkin’s earlier article and not this one that Discover has put online). I am currently reviewing Hulme’s Why we disagree…, and for the first time I have come across the discussion of the calculations of risk for further generations, with the debate over ‘discount rates’ and all that. The discussion is in terms of the Stern Report — I had no idea Stern’s alarmist impact claims were based on this stuff! Hulme &Co have been immersed for so long in this impact and mitigation debate, that it’s like delving into another strange world. It does make me wonder if, when this is all over, reading the Stern report will be like reading the debates of scholastic philosophers over how came the madonna’s immaculate state at her conception of her untainted son, and what about her mother… I mean, it’s one supposition on another and another and… before you know it, it’s getting very weird. The level of discussion here is very high, and I would like to comment without bringing it down, even the slightest bit. It is level-headed, informed and perceptive. First of all, I thought the review was one of the fairest accounts I’ve seen anywhere about the issue of AGW. (Note: I will use the term ‘AGW’ generically here, rather than ‘climate change’ or ‘global warming’ or ‘CAGW’ or any of the other re-labelings I’ve come across.) I have not read Weart’s book, and am unlikely to in the near future. I come from an independent and truly middle-of-the-road skepticism about AGW, not because there is no evidence for it, but because I have seen so much evidence against it. When large amounts of evidence argue one way and large amounts argue the opposite, any claims of “consensus” cannot be taken seriously. Too many times I read of one fact or study ‘proving’ one side or another. Single facts rarely, if ever, prove any scientific position. With few Laws (capital “L”), science as I’ve seen it is a lot of theories, not absolutely proven understandings. The theories have much to recommend them, but proof is all but missing in any science. Usually it is the weight of evidence that persuades. In any particular area of study, some are persuaded to the point of conviction. Repeatability in an empirical world is considered convincing, and being a mechanical engineer, I know this well. Where would engineering be if we did not have formulas that could give repeatable and reliable results? That said, I may have a higher threshold of what I accept as ‘good science’ than some people, perhaps most people. I think I have come to see fields that reach the level of engineering as true sciences, while others – which depend on statistics, odds or 95% certainties, or (even less so) interpolations and extrapolations – as too uncertain for my tastes to be called science. Yes, they are all “-ologies” – “studies of” and worthy of study. History is worthy of study, too, but comes up far short of being a science. The use of measurements – quantifying – is the basis of science. Putting numbers to our observations allows us to then process the numbers and think we have done science. In the ‘hard’ sciences this is done to great and consistent results. Witness our cities with their buildings, and our machines, and our satellites, and our electronics, to name but a few. But when we put numbers to systems and historical analyses – and especially pre-historical analyses – then what the numbers represent is defined not by length and breadth and pressures and heat, but to our assigned meaning to those categories and their relative values. Mention of heat-vs-temperature in the comments here is somewhat illustrative of that. Temperature measurements of water vs air certainly do represent massively different amounts of actual heat contained within those measurements, yet temperatures of air and water are mixed together. Temperature is about the only measurement possible that even implies some sort of understanding of the heat content, so what else is there to use? Besides proxies – with their still much greater uncertainty of even temperature itself, much less heat content – we have nothing else. Satellites? Yes, since 1979, but that method is blind prior to that, so what good does it do except provide a calibrating stick for the present that can be hopefully extrapolated back into the past? So, with climate we are stuck mostly with temperature readings and proxies, no matter how inexact both are. Regrettably, at least one researcher (Briffa) at HadleyCRU found tree rings to not correlate with recent temps, so the tree ring data was dispatched before given over to the IPCC – casting doubt on both the recent temps and ALL tree rings as proxies. Climatology is basically only the historical version of meteorology. As such, it is stretching the meaning of science recent precisely measured evidence with historical data of varying quality and quantity. Yes, it has numbers. It has LOTS and LOTS of numbers. With history, we have lots and lots of accounts of events, yet even for current events and recent events the understanding of them is forever up for debate. Putting numbers to weather over time is certainly something we need to do, but just having quantified it does not mean we will organize our thoughts about those numbers to come to a true and factual understanding of what the history of weather (climatology) tells us. It is imperative to have at our fingertips the best measurements/numbers. It is imperative also to choose those best numbers out of the mix (if not the very best, then ALL must be included and then treated properly – and what the meaning of “properly” is is the rub). It is then imperative to organize those best numbers so that we can analyze them objectively to get the best understanding from them. Weart’s position vis-a-vis AGW is clear, in that he understands one perspective out of the choices of numbers and choices of how to organize and analyze the numbers. I cannot put words in his mouth necessarily, but if he is sold on the AGW premise, one would guess that he assigns great certainty to the numbers chosen, the organizing of the numbers, the homogenization methods used on the numbers from the varying types of measurements, and the analysis of the numbers as given by those at the center of the alarmism. I look at the numbers – even overall studies – and the first thought that crosses my mind is usually: “This person I know has a certain bent and will accept only certain ways of looking at the numbers.” I look at graphs with widening uncertainty bands in the past and I see the single-line traces that wiggle up and down, and I know that the line could be much more wiggly or much less wiggly, and we wouldn’t know the difference, because the line truly could be ANYWHERE within those uncertainty bands. Reading precision where none can possibly exist is unbelievably NOT science. In mechanical engineering, we have a lot of certainties. But we also do work with some uncertainty, and we learn to work with that uncertainty to attain our goals. We call the uncertainty “tolerances.” We use sloppy uncertainty wherever we can, because it allows us to make cheaper parts – if they will function well enough. We limit the uncertainty when we want to control things with greater precision. For interchangeable parts precision is especially important, but always with an eye to balance between finer precision with lower costs. Parts that are too uncertain (i.e., sloppy) to achieve the proper “fit” with other parts are incapable of meeting our goals. As an engineer I would caution any scientist against attaching much certitude to numbers with wide uncertainty bands. The climatologists certainly have seemed to pretend to higher precision than their data seems to warrant. I do not use the word “pretend” there lightly – the temperature uncertainty bands of 500-1000 years ago are clear in their inexactitude, so any use of them in graphs with 0.1C grids cannot be anything but pretending. Those graphs claim precision of +/-0.1C, while the uncertainty bands are +/-0.1C in the thermometer era (this on data measured only within +/-1.0C, no less!) and up to +/-0.5C or even greater in previous centuries and previous millennia. From an engineering point of view, this is impossible. The claimed precision is not even an artifact of the measurement method or method of analysis. It is simply an assertion made without its necessary caveats. To see a graph ranging from -0.5C to +0.8C, made from data with +/-0.5C or even +/-1.0C for longer ago eras is (if I can lower the level of dialog for a second) people stroking themselves. One particular question brought up by the primary AGW skeptic, Steve McIntyre, is the question about the chosen methods of processing the numbers, statistically speaking. Since CRU and Mann – to name particular processors – are not field climatologists, but are number organizers and processers, it is a very pertinent question to ask: Did they choose the numbers correctly, organize it all well enough, and then process it all properly? When Professor Phil Jones admitted that he had, in fact, lost much of the data, then it appears that those particular scientists cannot organize their data well and properly. The emails cast direct doubt on their ability to process and analyze the data, too. It is the temptation of (perhaps the norm for) all of us in the public to accept that the scientists – ANY scientists – know what they are doing. Science out on the frontiers (ANY of its frontiers), however, is precisely NOT a bunch of scientists knowing what they are doing. On the frontier may mean things like submersibles at 20,000 feet under the ocean. In this case it is folks like Michael Mann doing the first ever homogenization of thermometer readings from irregularly-spaced thermometers, tree ring data, ice core data, coral reef data, and stalactite data. The truth is that no one really knows if he did it right. The public and scientists from other disciplines lean toward believing he did. Many other climatologists also trust that he did. Yet, when two of our historical (data-wise AND anecdotally) events – the Medieval Warm Period and the Little Ice Age turned up missing, others weren’t so sure. Those people knew that the Hockey Stick should not ever have achieved that name. With now a full 855 peer-reviewed studies encompassing the entire world, argues strongly that the MWP DID exist. Mann’s work and anything based upon its findings has to be subject to a close review, for this reason alone. It would be irresponsible to ignore something so contradictory to known facts. When the scientific measurements have as many questions as AGW has, it is amazing the pro-AGW group can complain with a straight face about skeptics. Their own actions have brought about the current dilemma, in more ways than one. The discussion that took place last week is 20 years overdue. The pro-AGW people wanted only ‘on-message’ data and perspectives to get before the IPCC and make it into the IPCC summaries. They have had 20 years of message censorship, partly hiding behind the principle of claims of “consensus, partly suppressing their own counter findings and partly suppressing others’ counter findings – and cherry picking some of the data. The skeptics who are scientists are only trying to verify or falsify the story, and the CRU scientists, as a group, sounded a whole lot like they were doing everything within their powers to obfuscate and stall those who wanted to simply replicate their work, something which they all have the right to do. As Ptolemy taught 2,000 years ago, the more we rely on any result, the more times we should repeat ourselves, to make sure we are relying on something solid. That was possibly the very beginning of the scientific method. The use of measurements – quantifying – is the basis of science. Making distinctions is the basis of science. For Plato, empirical science begins with making distinctions in our knowing (thought) that are true to the distinction of our experience (senses). When we repeat a distinction then we start counting, quantifying. Unquantifiable science? – start with topology. But when we put numbers to systems and historical analyses – and especially pre-historical analyses – then what the numbers represent is defined not by length and breadth and pressures and heat, but to our assigned meaning to those categories and their relative values. You have me thinking of H H Lamb’s analysis of historical data as the basis of his sketch of millennial climate fluctuations, and how this was used in the first IPPC report (see above)…only to eventually be supplanted by the hard numbers of the Hockey Stick. Quantifying the unquantifiable is often motivated by status-seeking — in the authority of numerical analysis. Note how your ‘quantifying’ basis of science serves to encourage this status-seeking among scientists. (think: psychology’s aspirations to hard science in the rats & stats behaviourism of the 1950s). Quantified uncertainty, quantified risk…so often the abuse of quantification is grounded in probability theory. It is still not entirely clear to me what Bayesian analysis teaches on this (Laplace? ), but I was taught to be humble in the fact of the unquantifiable — while still remaining ‘scientific,’ — by a man not unafraid of numbers, John Maynard Keynes (Treatise on Probability). You may rest assured that there is not risk here, quantifiable or otherwise, of bringing down the discussion; rather you have raised it to a higher level. Thanks for your reflections.